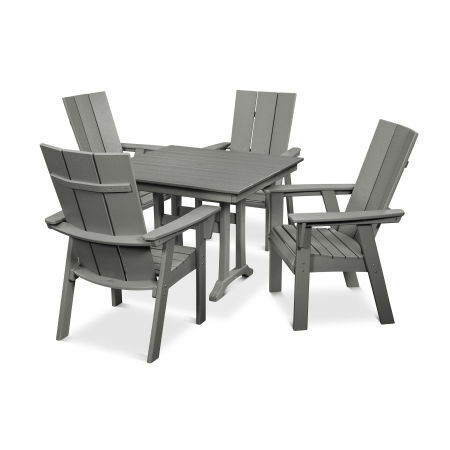 Fashion an idyllic retreat where you can serve your favorite creations from the grill and escape into hours of conversation with a POLYWOOD® outdoor dining set. Choose between a variety of sizes and styles. 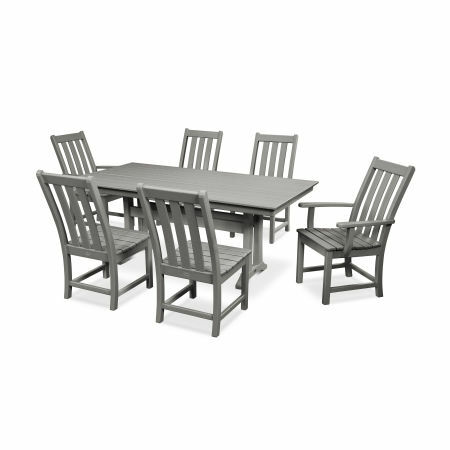 POLYWOOD® outdoor dining sets provide the perfect setting for hours of entertainment. 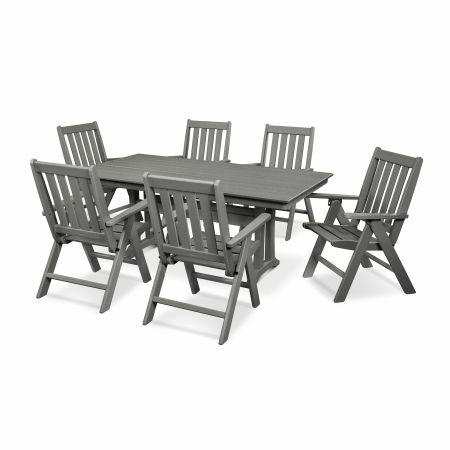 Feast, converse, and make memories with loved ones while seated at a comfortable and durable dining set constructed to withstand the most extreme outdoor conditions. 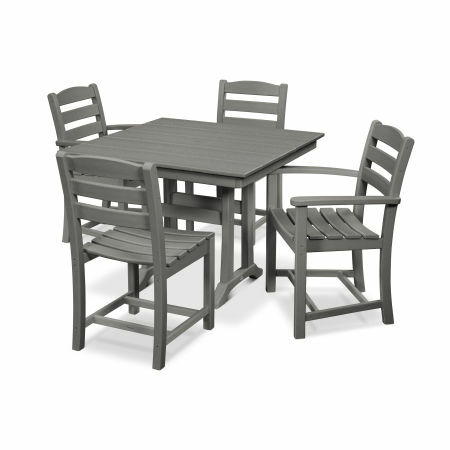 Outdoor dining sets often serve as the focal point of your backyard or patio spaces. 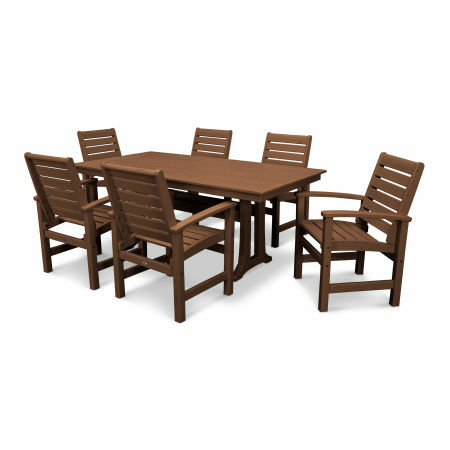 Simple and timeless elegance define ourthe POLYWOOD® outdoor dining sets, built to create a relaxing and fun space for you and your family to scarf down some barbecue or delve into the latest board game. 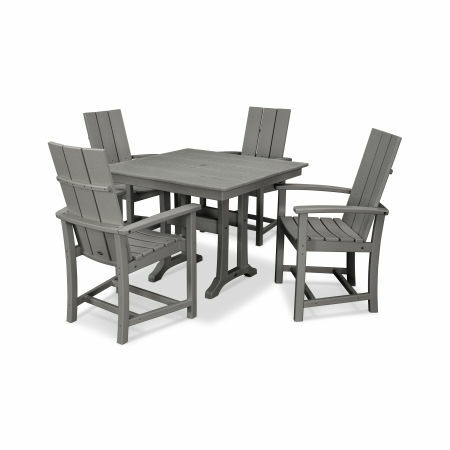 All outdoor spaces have their own personality and style, which is why you can customize all of our outdoor dining sets to complement your other outdoor furniture and design elements. Choose the collection that makes the most sense with your home’s architecture and your desired use of the space, and then order your new dining set in a variety of colors ranging from vibrant hues to earth tones. 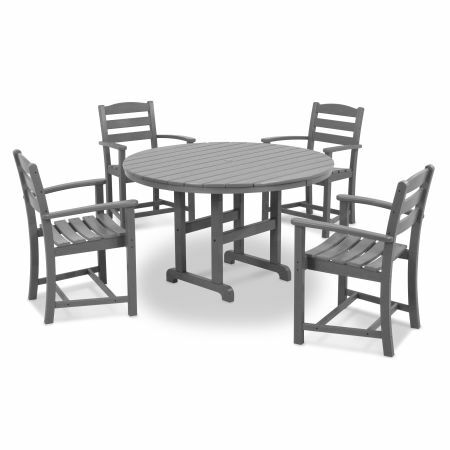 We fashion outdoor dining sets that are able to infuse any space with life and purpose, without being too flashy. 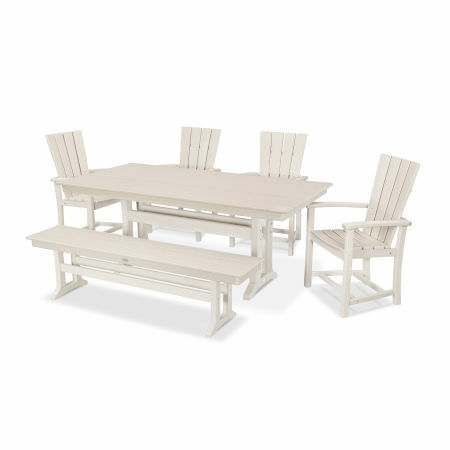 You’ll find outdoor dining sets styled in our most popular collections including Palm Coast, Quattro, Signature, Chippendale, Euro, Coastal, Bayline, and Metro. 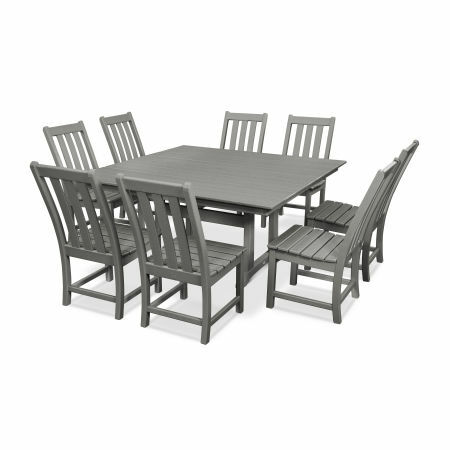 There are also multiple sizes available so your dining set can seat the perfect amount of guests. The POLYWOOD® promise to our customers is to provide superior quality that lasts for years to come. 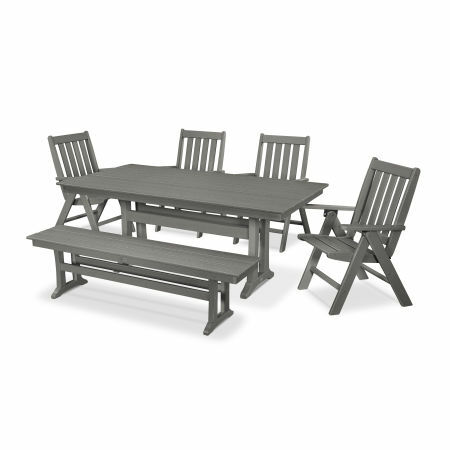 The unique HDPE lumber withstands the elements better than traditional wood or plastic materials to provide the perfect foundation for your outdoor dining sets. POLYWOOD® lumber is engineered to hold up against the toughest weather, and unlike natural wood it won’t crack or rot. The Color-Stay Technology makes our lumber a smarter choice than otherthermoformed plastic furniture, as it won’t fade or split in the sun. Naturally, furniture this resistant to degradation is low-maintenance and easy to clean. All it requires is an occasional wipedown with a damp cloth, gentle soap and water to remove dust and residue. POLYWOOD® dining sets stick around for the long haul, making them the go-to option for your home. Moving mealtime to the patio or deck surrounded in the splendor of nature allows for quiet reflection and flowing conversation as you wine and dine. 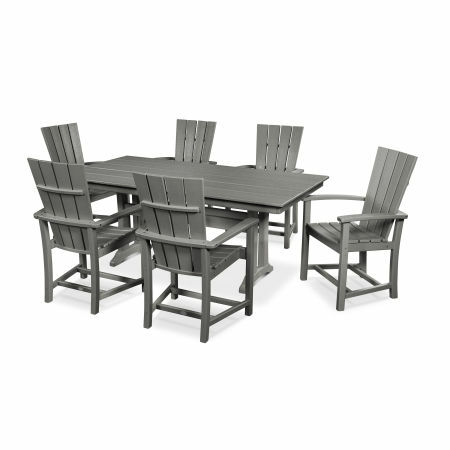 A 7-piece swivel dining set in a rich mahogany finish will allow you to take in the view and enjoy a proper dinner with those you cherish. A water and weather-resistant Nautical dining set brings the action right next to the pool so the kiddos can chow down on freshly-grilled steaks and corn on the cob before basking in the sun and taking a dip to cool off. A smaller bench dining set provides a calm setting for morning breakfast and tea as you watch the sunrise and listen to the birds chirping in the canopy overhead. Multiple color options allow your dining set to blend into the building, or stand out as a statement piece. Can’t settle on the perfect outdoor dining set, or having trouble choosing the right combination of side chairs, arm chairs, and benches? Read our blog on choosing the perfect dining set for your space to put your mind at ease and make the best selection!